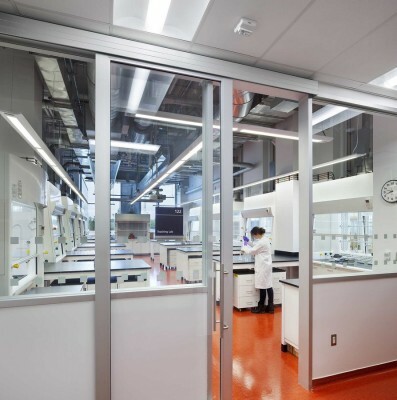 A new kind of lab opens at University of Toronto from DiamondSchmittArchitects on Vimeo. 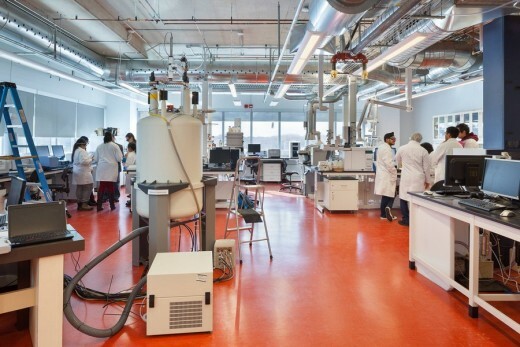 January 29, 2016, TORONTO – An innovative new research and teaching facility for the study of environmental sciences and chemistry opened officially today at the University of Toronto Scarborough. 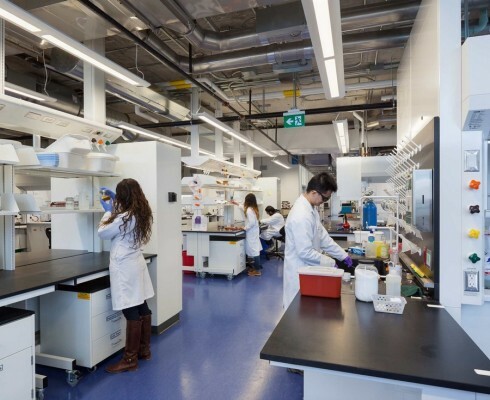 Designed by Diamond Schmitt Architects and delivered with design-build construction partner EllisDon, the 110,000-square-foot building provides state-of-the-art laboratory and teaching space for some of Canada’s brightest new minds. 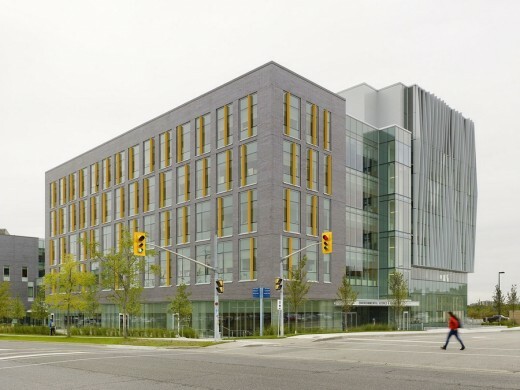 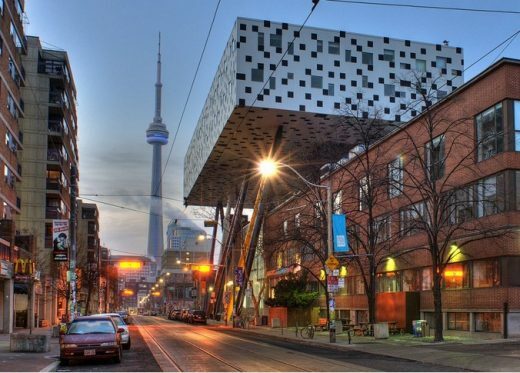 The project is a showpiece for integrating the requirements of a modern and dynamic post-secondary academic campus plan and meets institutional objectives for stringent sustainable design targets. 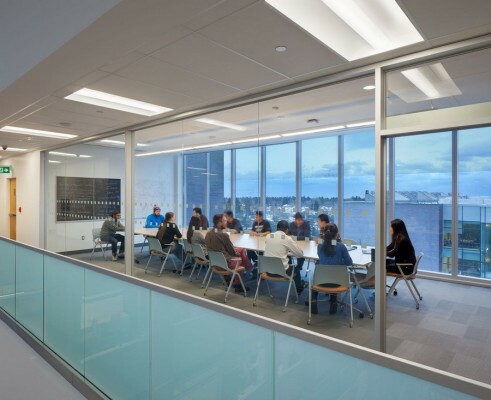 The facility also features collaborative learning opportunities while providing flexible lab space that ensures adaptability for the ever-changing nature of research and teaching methods. 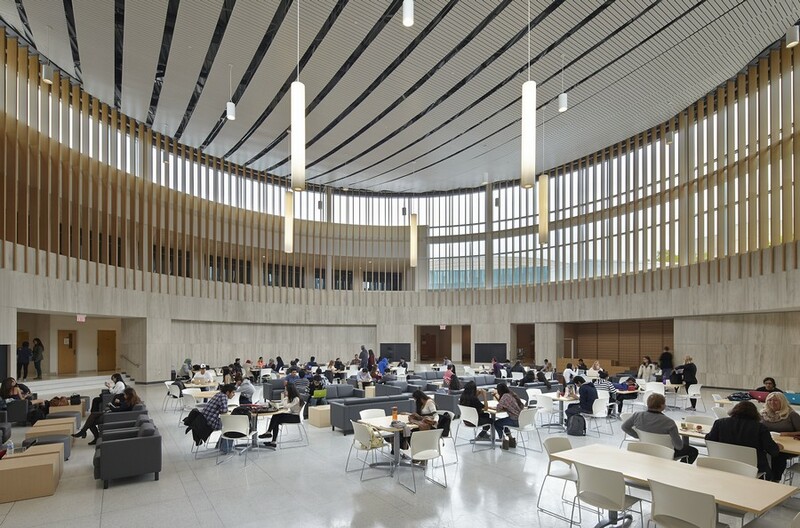 “The building is designed to be a model of new thinking in laboratory design – open, transparent, flexible, adaptable for lab usages as yet unimagined, not to mention providing a safe and secure work environment for students and researchers,” said Donald Schmitt, Principal, Diamond Schmitt Architects. 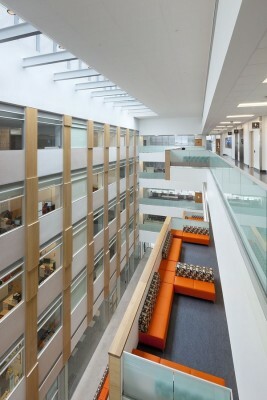 At its core, the five-storey building connects laboratories and academic offices around a skylit forum and crossroads designed to encourage collaboration and exchange. 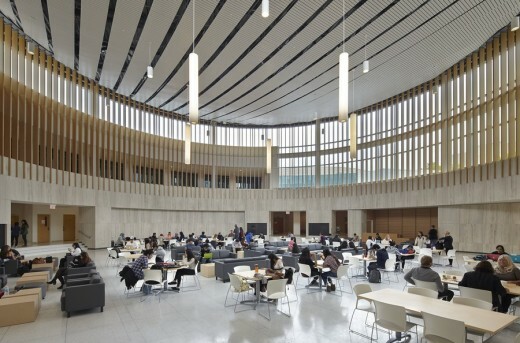 Thematically, the Environmental Science and Chemistry Building is inspired by nature to reflect not only the academic pursuits of these disciplines but also its setting on the edge of a wooded ravine. 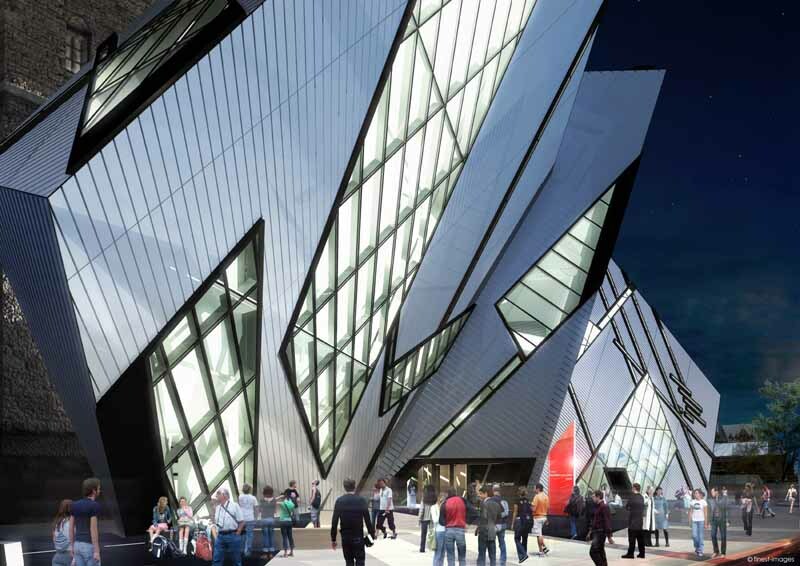 This connection extends to a host of sustainable design features that put the facility on track for LEED Gold certification. 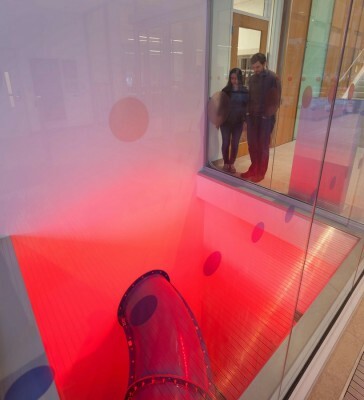 These include a rare feature – an earth tube system that draws fresh air through six large tubes where it is pretreated in the earth’s embrace to heat or cool, depending on the season, before entering the mechanical system. 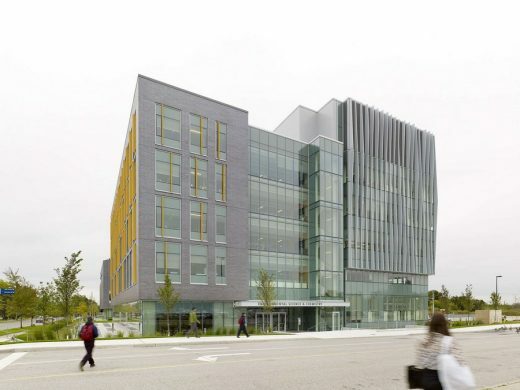 “Beyond being a beautiful building, this is an environmentally-friendly and energy efficient place to do cutting-edge research,” says U of T Scarborough Principal Bruce Kidd. 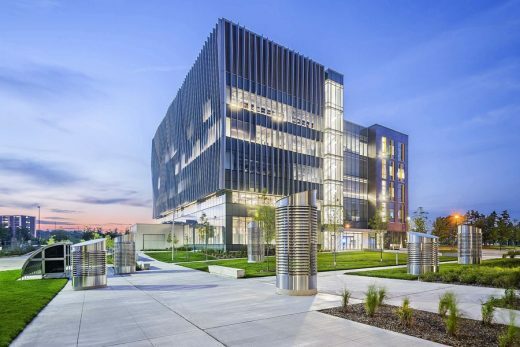 The research being done at ESCB will focus on pressing environmental issues including climate change, groundwater pollution in urban settings, restoration of environmental systems, and rising sea levels, to name a few. 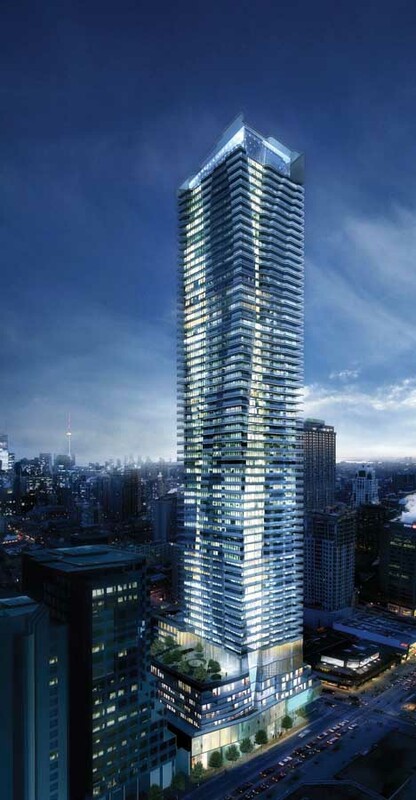 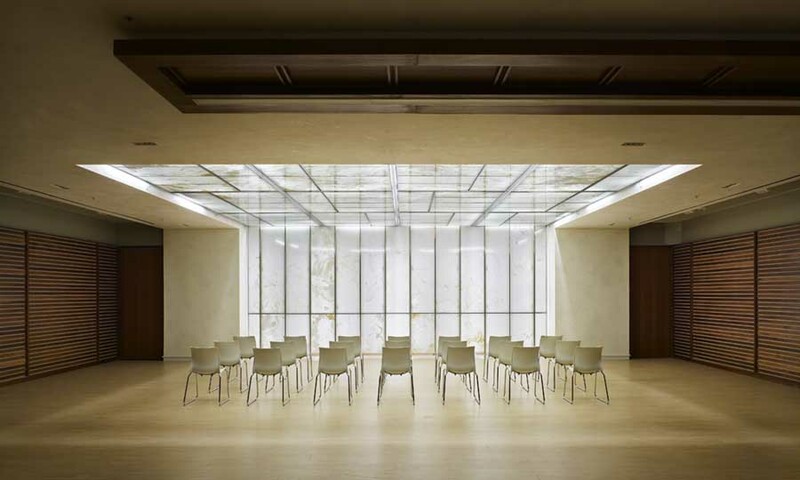 Diamond Schmitt Architects (www.dsai.ca) is a leading full-service architectural firm based in Toronto with an international reputation for design excellence and sustainable design solutions. 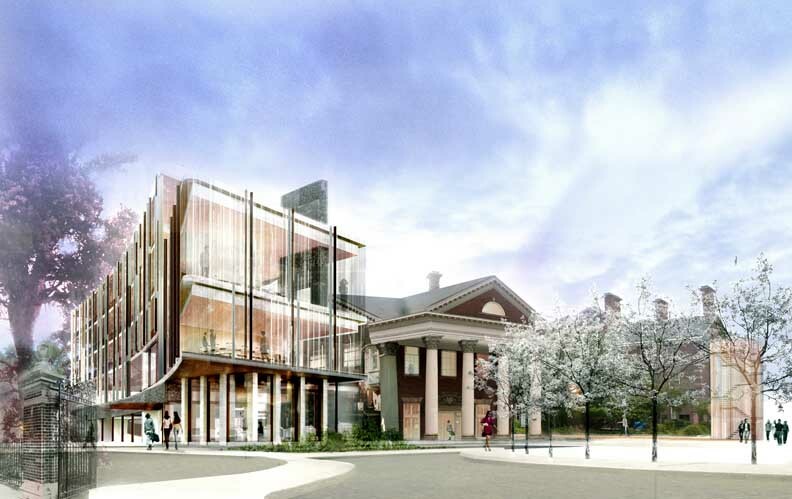 An extensive portfolio includes academic buildings, libraries, performing arts centres, sports facilities, master plans, residential and commercial buildings. 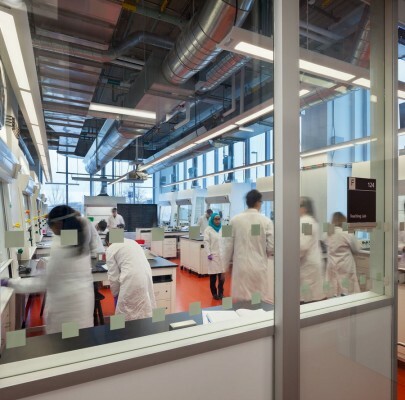 Equally extensive is work completed for the healthcare sector, with life science facilities, research laboratories and hospitals.